Heated Steering Wheel, Heated Front Bucket Seats,This Jaguar XE has a dependable Intercooled Turbo Premium Unleaded I-4 2.0 L/122 engine powering this Automatic transmission. INCONTROL TOUCH NAVIGATION SYSTEM -inc: SD card, dynamic route guidance (where TMC available), JaguarVoice, text message handling (subject to compatible phone) and higher power user interface panel (charges devices 3x faster), Apps, FUJI WHITE, EBONY, LUXTEC SEAT TRIM. *These Packages Will Make Your Jaguar XE Premium the Envy of Onlookers*COLD CLIMATE PACK -inc: Heated Steering Wheel, satin highlights and softgrain leather, Heated Front Bucket Seats, Heated Front Windscreen, heated washer jets, Wheels: 17 x 7 7 Split-Spoke (Style 7010), Wheels w/Silver Accents, Valet Function, Trunk Rear Cargo Access, Trip Computer, Transmission: 8-Speed Automatic, Transmission w/Driver Selectable Mode and Jaguar Sequential Shift Sequential Shift Control w/Steering Wheel Controls, Tires: P205/55R17H Front P225/50R17H Rear AS, Tire Specific Low Tire Pressure Warning, Systems Monitor, Side Impact Beams, Seats w/Leatherette Back Material, Remote Releases -Inc: Power Cargo Access and Power Fuel, Remote Keyless Entry w/Integrated Key Transmitter, Illuminated Entry and Panic Button. 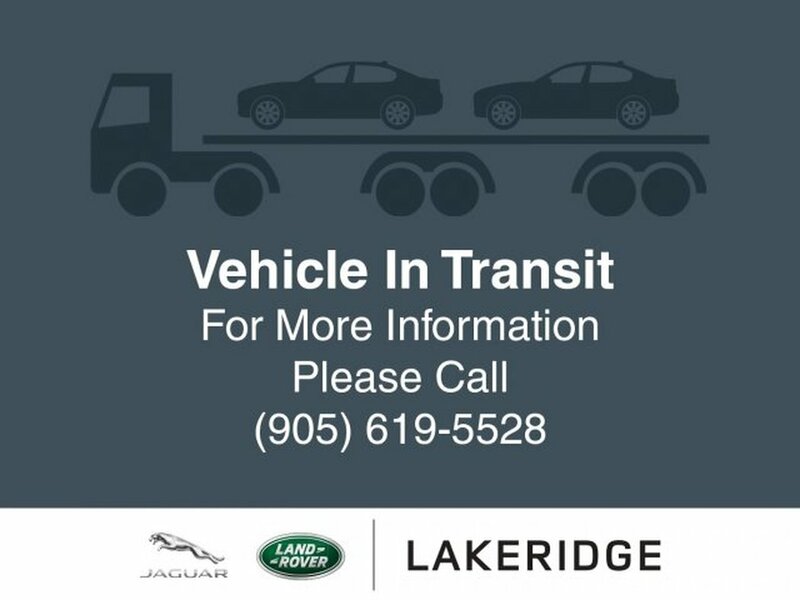 *Visit Us Today *Stop by Jaguar Land Rover Lakeridge located at 280 Achilles Rd, Ajax, ON L1S 7S3 for a quick visit and a great vehicle!Prices include all fees except licensing and HST.